Here's the good: having read a decent amount of crime fiction lately, it is right in line with some of the good stuff I've read. The mystery believable, the story feels credible (although it's pretty British, and there may have been subtleties I missed), and the characters quite good. That's always been a hallmark of Rowling's writing, even when the plotting fails like in Vacancy. Plus, really, knowing it's Rowling writing almost makes one feel like it shouldn't have been a surprise that she was the writer of this, because the feeling of the writing tosses out a very Rowling vibe. Finally, the last 100 pages in particular, where everything starts coming together and making sense? Very solid stuff, and easily my favorite part of the book. If the rest of the book was as good as the conclusion of this one, I probably would have enjoyed it more. The bad is, unfortunately, most everything else. Cormoran Strike, our hero, seems almost too perfect, except when he's off, say, getting drunk in what comes across as a naked attempt to make him more realistic. Where there's a good deal of mystery, there's not a lot of danger or suspense to go along with it, and it feels very non-urgent throughout. This may be more the tone than anything else, but even in other crime novels I've read as of late, the stakes felt higher. I get why this was regarded so highly by those who are fond of the genre, but it falls into a lot of the same traps that make the genre so difficult for me. Once again, as with The Casual Vacancy, there's a lot of potential here, but not a ton of success. I'm not ready to throw in the towel on Rowling yet (at least not as an author of adult books), but this is another step in that direction for me. 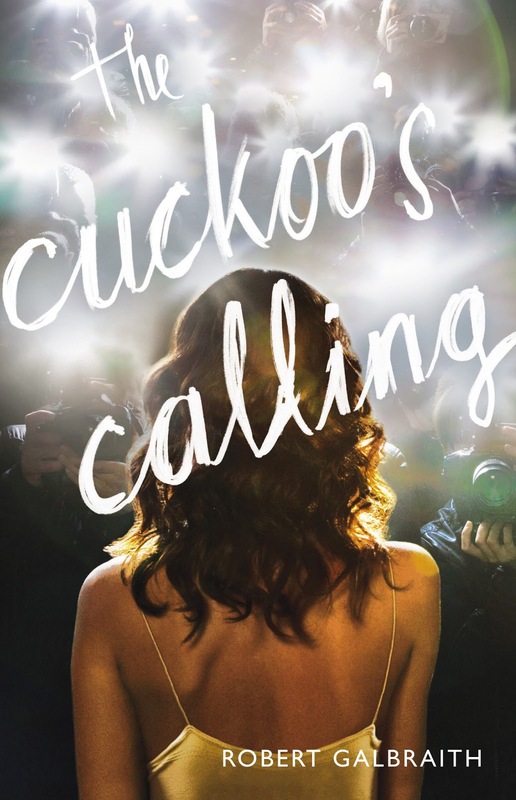 My hope was that we'd continue seeing some boundary-stretching from Rowling that would result in something different or better, and that doesn't happen with The Cuckoo's Calling. If you're not a fan of the genre, be wary. If you're a Harry Potter fan who enjoyed The Casual Vacancy, however, you'll probably get a lot out of this. A fun read that I couldn't put down. The author evoked a tantalizing view of London and the paparazzi crazed world of celebrities with the nuanced eye of an outsider. I want to see more of these characters.